Las Vegas police shot and killed a man suspected of multiple robberies on Wednesday night on the 215 beltway after a chase that began in Downtown Las Vegas. UPDATE ON MARCH 27, 2017: The district attorney's office held a fact-finding review Monday about a shooting that took place in October. Body-cam video from the shooting shows what happened right before Rex Wilson pointed a fake gun at police officers after a 10-mile chase. Police later learned that the gun was fake. Police also found a chilling message inside the deceased man's car. He had written "sorry" in blood. He also texted his wife goodbye around the time of the shooting, saying "you and the kids were the best thing to happen to my life." 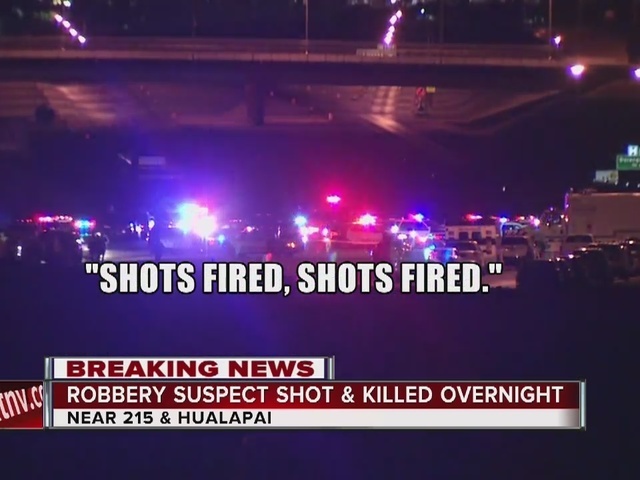 The shooting happened near the 215 beltway and Hualapai Way. 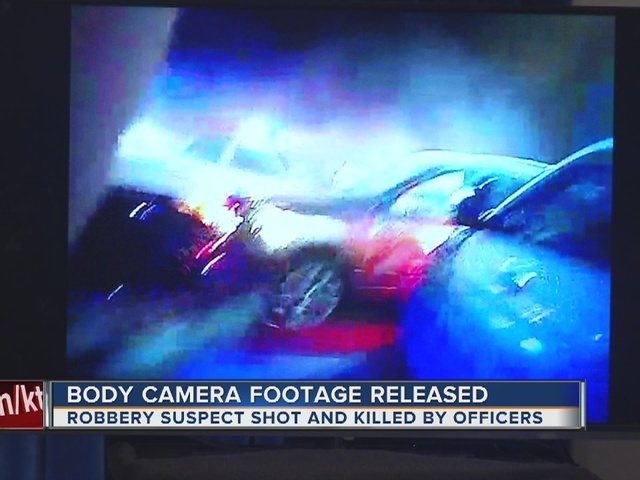 A fact-finding review is held when a police-involved death occurs and the District Attorney's Office preliminarily determines that no criminal prosecution of the officer or officers involved is appropriate. UPDATE ON OCT. 17, 2016: The Las Vegas Metropolitan Police Department held a press conference Monday regarding the officer-involved shooting last week. Police say the suspect, Rex Wilson, used a fake gun in both his spree of robberies and against 4 officers. They say after the long police chase, Wilson pointed the "gun" at them, forcing them to fire a total of 36 rounds. Police say a few days earlier, Wilson's wife was reported him missing, and said he appeared suicidal and had a history of depression. 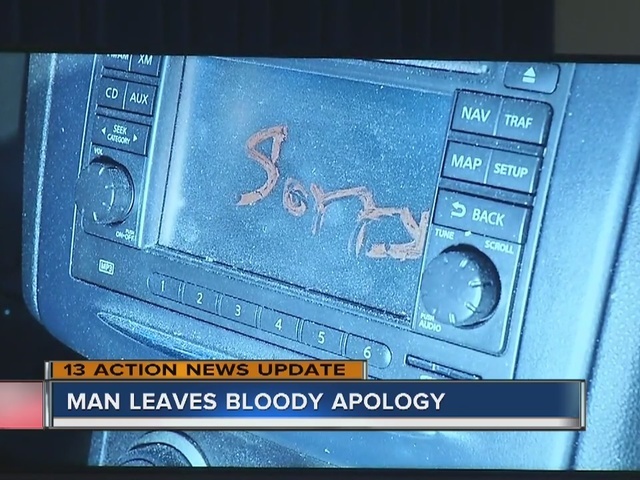 In the stolen car, police found "sorry" written in the suspect's own blood. Aside from this crime spree, the Marine veteran had only a small criminal history. 2ND UPDATE: On Oct. 16, the Las Vegas Metropolitan Police Department identified the officers involved in the shooting on the 215 beltway: Officer John Squeo, Officer Christopher Gowens, Officer Travis Swartz, and Officer Erik Lindberg. All officers are currently assigned to the LVMPD Tourist Safety Division, Downtown Area Command, and have been placed on routine paid administrative leave pending the outcome of the shooting investigation. UPDATE: The man who died in this case has been identified as 50-year-old Rex Van Wilson. LAS VEGAS (KTNV)-- Las Vegas police officers shot a man overnight that they believe is responsible for a string of robberies. No officers were hurt in the incident but the suspected thief is dead. 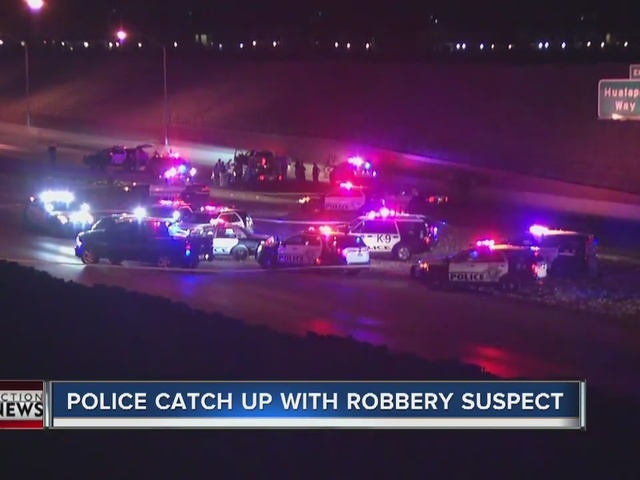 The shooting happened on the beltway after a chase began at approximately 11:15 p.m. near Wyoming Avenue and Commerce Street when police officers spotted the vehicle they believe is connected to the multiple robberies. The chase continued for several miles and didn't end until spike strips were laid down on the 215 beltway. After the vehicle stopped, there was a confrontation and the man was shot and killed. Police believe that the man who was killed is the same one that they were looking for in connection to a carjacking in Henderson, a robbery at a local Dairy Queen and many more. The carjacking took place on Monday at approximately 7:30 p.m. in the 1900 block of Spode Avenue, near Warm Springs Road and North Valle Verde Drive. The Dairy Queen robbery happened on Tuesday. In that robbery, the man ordered an ice cream cone and then took money from the cash register. The suspect was also accused in a Sweet Addiction Robbery. The owner showed 13 Action News video where at first it looks like the suspect is grabbing a soda from the counter but then he pulls a gun at the register. The Clark County coroner will release the name and age of the man after relatives have been notified. The officers involved in the shooting will be placed on administrative leave while the shooting is investigated. Their names will be released in 48 hours according to procedure. This is the 7th officer-involved shooting in Las Vegas this year.